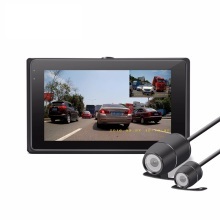 Waterproof IR camera with wide view angle, 6m length video cable and power cable , plug and play, 4.3″ High quality ultra-thin monitor, 2 channel video inputs, Easy installation. 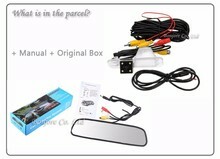 This kit is used for 12V vehicle. 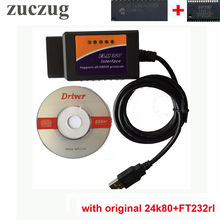 Auto switching when reversing Under power-on condition. 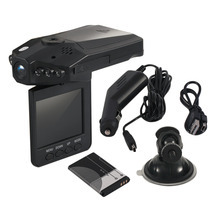 When reverse gear is on, the system automatically switches from DVD/VCD video to backup camera video. 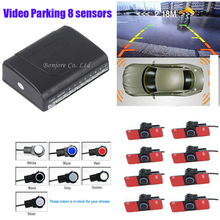 And when parking is finished, it will switch back automatically, which can ensure parking safty. 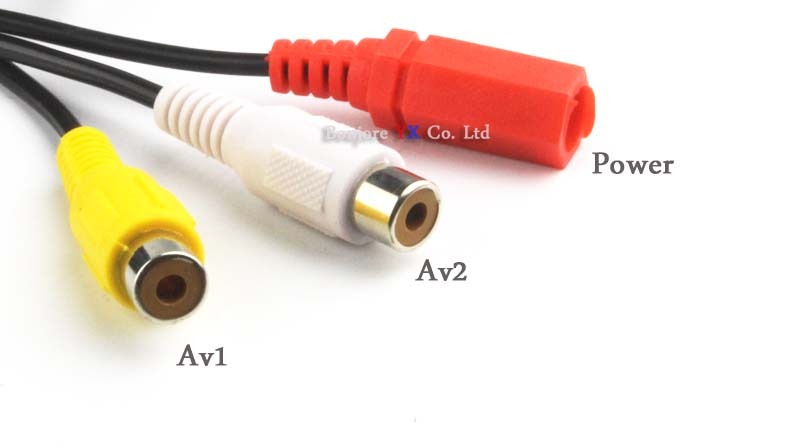 AV signal auto detecting power on/off Under power-off condition. 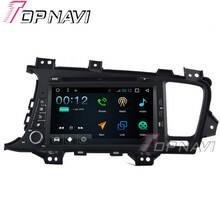 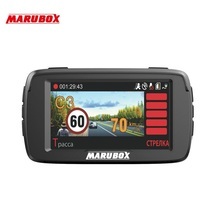 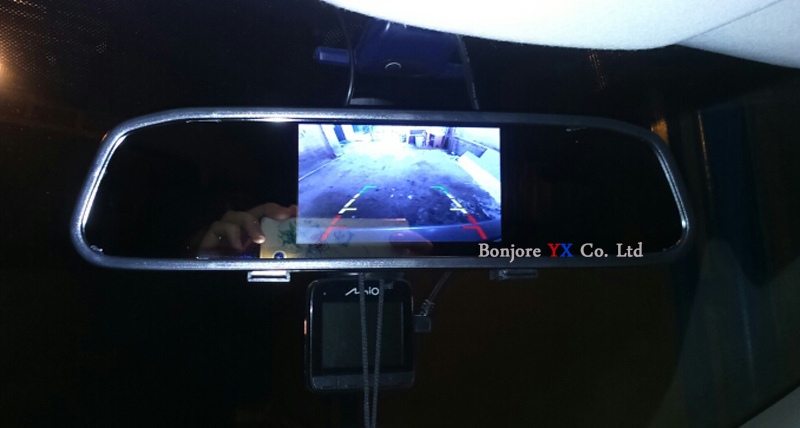 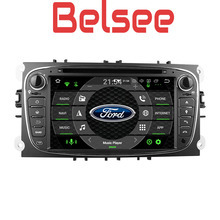 When reverse gear is on, the system automatically starts to search for the camera signal and display backup video. 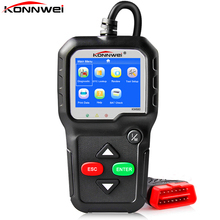 When parking is finished, it will switch off automatically. 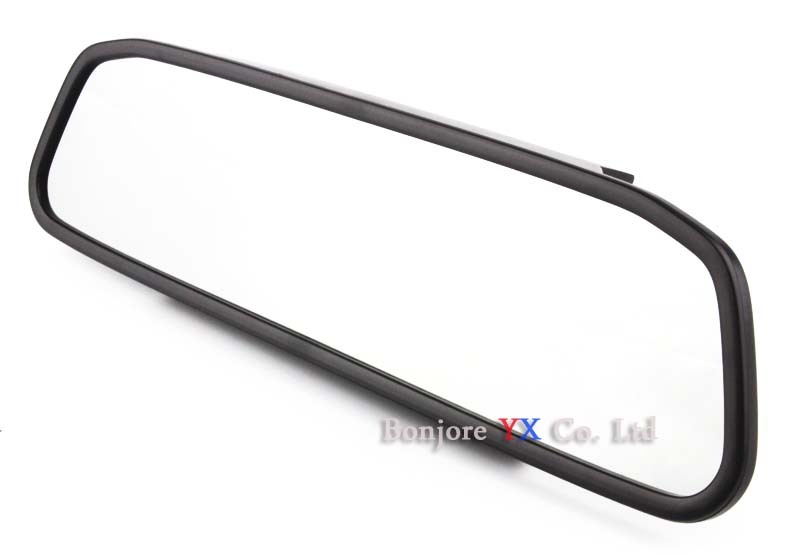 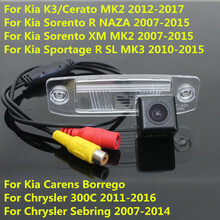 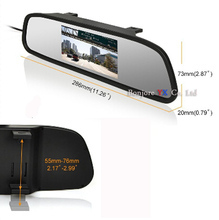 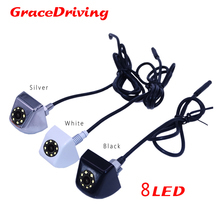 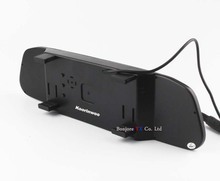 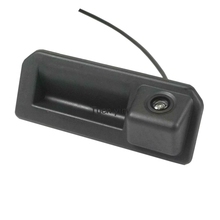 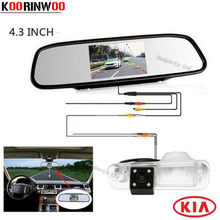 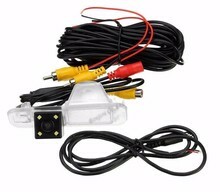 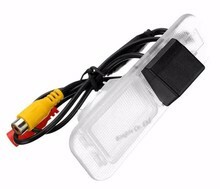 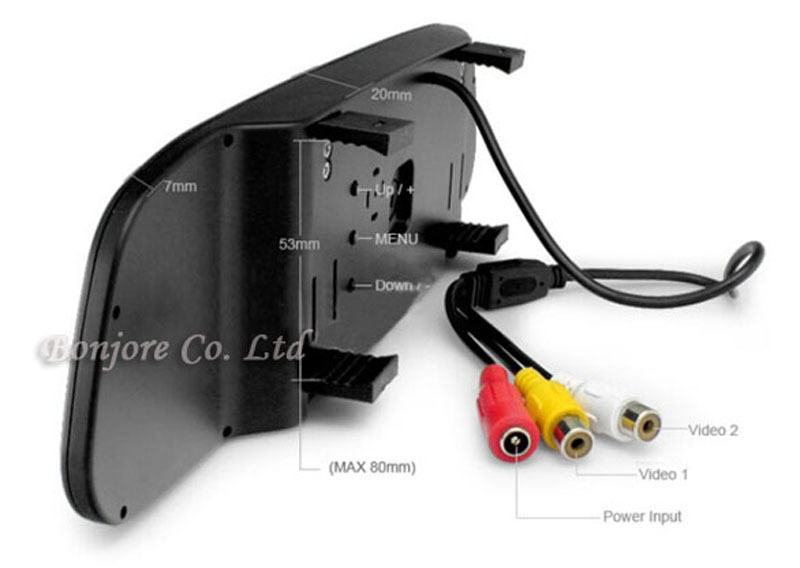 Connect the built-in license plate light of the camera to where the stock license plate light was connected to get the power Connect the power of the camera to your car reverse lights – red wire to positive and black wire to negative.